Liberally spray a mini cast iron skillet with non-stick cooking spray. Add chocolate chips and top with mini marshmallows. Bake for 5-7 minutes or until the marshmallows turn golden brown. Remove from oven and serve with graham crackers. For a fun twist, replace chocolate chips with white chocolate chips and drizzle with warm chocolate sauce after removing from oven. 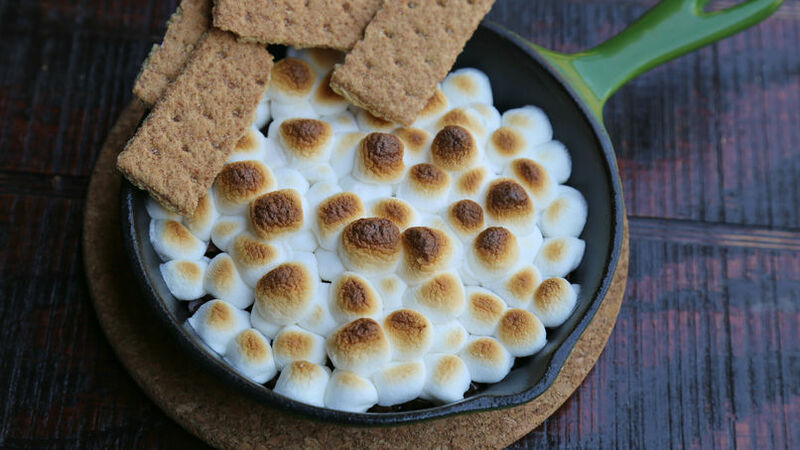 Keep the summer fun with this mini s’mores skillet made indoors. The kids will love digging into this gooey treat. Great for a Friday night movie night or a slumber party!